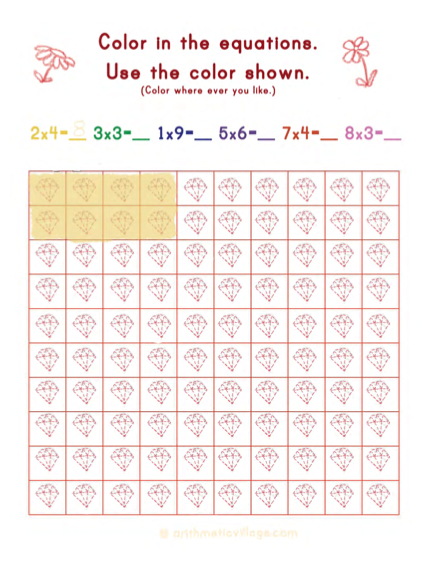 This multiplication exercise is fun because it uses creativity and color. (It also makes it much easier to understand figuring out areas- but that comes later 🙂 ) It does take some explaining at first to ensure your student understands the concept and what they need to block out. (Two rows of three is 2×3.) 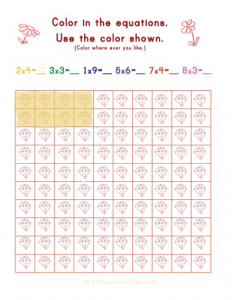 It is just one other way to visualize multiplication! Enjoy!